This is a continuation from yesterday's post Unit testing in SQl Server... why? Today we will look at what unit tests actually are. Test on an individual unit of code. A unit test should ideally only test one discrete unit of code, there should not be a test for example how this unit of code reacts with other units of code. Tests should not be influenced by other units. Executing a unit test should give you the same result every single time. Since a unit test is repeatable it is also easy to be automated. A test should only be testing one thing, it should test one question only. For example if I put money in the account did the balance increase? Test the requirement for the unit. If the requirement is that zip codes are 5 digits for example then you should have tests that verify that 5 is correct and for example 4 and 6 will fail the test. 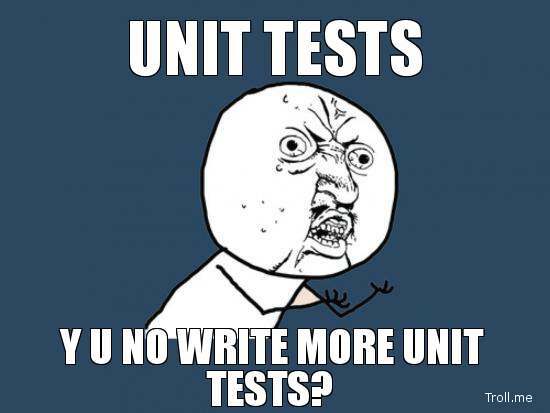 When do I write unit tests? The answer is of course during all 3 phases! You will be writing unit tests when you change something in an existing application, start a new application or if you are in the middle of development for a soon to be launched application. The only difference is that with a new application you will write the test before the code and with an existing application that you will write the unit test after the code already exists. Why are you not unit testing yet?